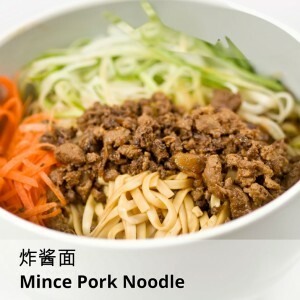 Chewy, full-bodied noodles, with a tasty mixture of ground-pork stir-fried with salty fermented soybean paste, served with a handful of cool, crunchy shredded cucumber and carrot. 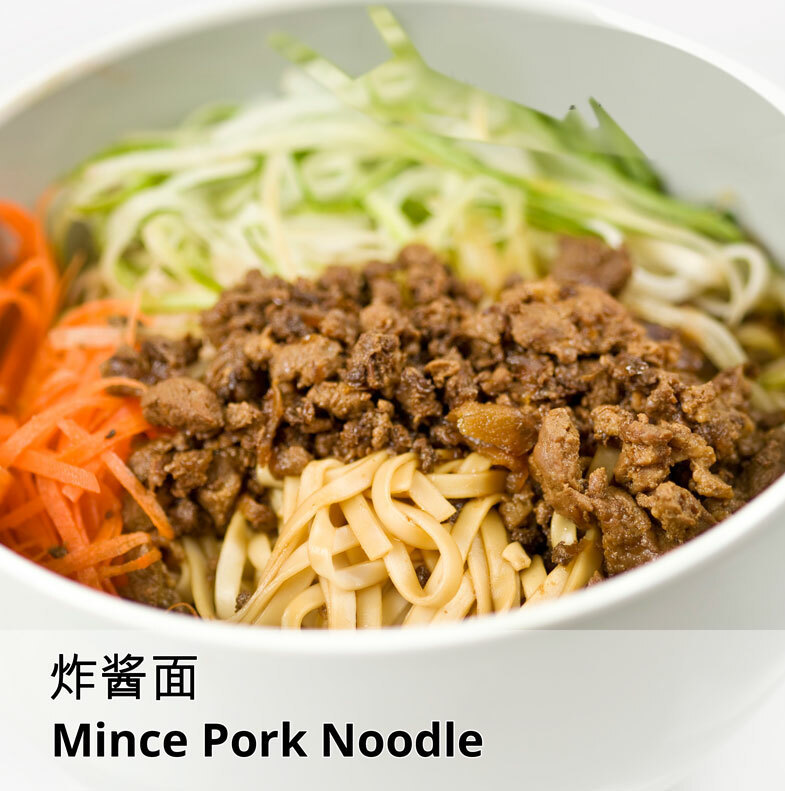 The Minced Pork Noodle is a well-loved Chinese noodle dish. Its succulent and refreshing flavor makes it a cultural classic.